Olive trees can live for thousands of years. They are a good example of sustainability. Turkey and Portugal are producers of olives and olive oil. 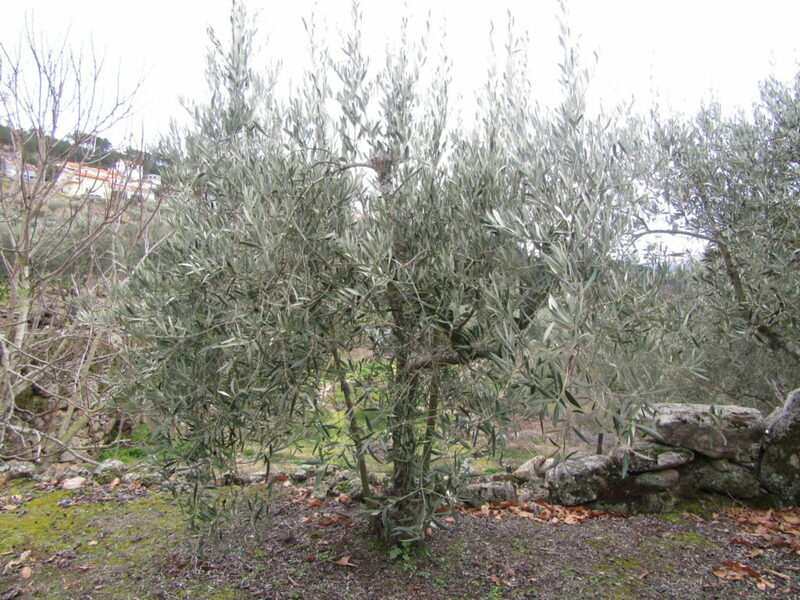 "What are the environmental characteristics favorable to olive growth? Which natural factors affect their production? Is the increase in olive oil production incompatible with environmental sustainability?”. The United Nations define sustainable development as "development that meets the needs of the present without compromising the ability of future generations to meet their own needs”. According to UNESCO, education is a prerequisite for achieving sustainable development and an essential tool for informed decision-making and democracy. Approaching one of the objectives for sustainable development - ensuring that society has relevant information and awareness for sustainable development and lifestyles in harmony with nature by 2030 - we have surveyed the situation of olive growth in Portugal and Turkey. Humans used to consume what they collected from nature. Since industrialization nature has been damaged, which threatens the sustainability and future of the planet. We should provide sustainability, through consumption of local products, environmentally friendly agriculture and production. Olive, symbol of wealth, fame and peace, is also found in four holy books. The olive tree is referred to as the tree of life, because of the white pigeon that returned to Noah’s ark after the flood had an olive branch in its mouth. Naturlink website refers that the existence of olive trees is parallel in the history, tradition and culture of the Mediterranean people. This tree is tolerant to any type of soil; however, the lack of water can become a limiting factor. Olive oil, prized since antiquity for its gastronomic value as well as preventive and therapeutic properties, is used, in Portugal, as a seasoning and in the confection of food . Today, 96% of the world’s olive-growing area is concentrated in the Mediterranean Basin. According to Turkey Olive Research Institute of officials, Turkey has about 100 million olive trees, being among the most important olive producing countries in the world. An average of 1,100,000 tons of olives are produced every year – about 75% of the production is used as olive oil and 25% is used as fruit . Official data state that, in Portugal, olive is mainly intended to produce of olive oil (about 96%) and about 4% is used to produce table olives . Another official data presented that, in the last decades, Portugal almost doubled the olive oil prodution, reaching, for instance, 91,647 ton in 2013. This is mainly due to the planting of thousands of hectares of intensive and highly productive super-intensive olive groves in Alentejo, an investment that was possible because of, among other factors, the completion of the Alqueva dam and the availability of water for irrigation. Moreover, there was an increase in consumption and exportation, thanks to the promotion of the excellence of our olive oil, the dissemination of its characteristics and the recognition of its nutritional qualities . Klizomenai, the oldest olive oil production site known in Anatolia, located in Urla. The Portuguese students researched in the media about the production of olives in 2017 and interviewed an olive grower . In October, olive growers were concerned about olive oil production in Portugal due to the drought that affected about 80% of the territory. Luís Crisóstomo (olive grower, Alentejo) said – “Olive trees are very heavy, they have lots of olives. But in a drought situation, what will happen is that the olive will fall to the ground, even without reaching the state of maturation, and ends up being a lost olive” . Despite this, 2017 campaign was extraordinary (production of over 120,000 tons), justified by the elevated temperatures recorded which have prevented plagues and the introduction of new olive groves. In a radio reporting about the increase of intensive and super intensive olive groves in Alentejo, Mário Carvalho (professor at Évora University) considers this practice environmentally unfriendly, because it affects biodiversity due to the use of pesticides . Because of the information we have obtained as Turkish students, we have learned that olive, which has an important role in our culture and especially in the region we live in, needs to be consumed more and more consciously among young people. We prepared a video about the necessity of the healthy consumption of olives . 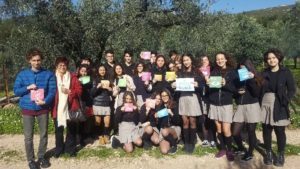 Portuguese students reflected about the importance of supporting traditional systems and in what way agriculture can modernize while maintaining sustainability. Based on a study , they conclude that “good management and economic rationality, combined with financial and technical capacity, could promote less use of fertilizers and plant protection products, more efficient use of water and the establishment of partnerships for innovation in intensive systems” and that, because “research and innovation in traditional systems face some problems, including the advanced age and low level of schooling of olive growers and reduced financial capacity”, a public investment is necessary to protect a variety of DOP olive oil (Denomination of Protected Origin), to keep multifunctionality and ecosystem services and to promote employability and wealth in low population density and great fragility regions, allowing the agricultural exploitation of these areas. 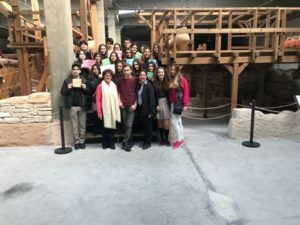 Alunos envolvidos no projeto: TAKEV SCHOOLS (Izmir/Turkey) Filiz Güllü; Zeynep Çavuşoğlu; Deniz Ertan; Elif Deniz Akpınar; Aylin Erdin; Seher Balay; Kadir Göktan Acaroğlu; Miray Canbay; Destina Kaygın; Deniz Mumcu; Yasmin Can; Aleyna Akbaba; Bilge Tokkuzun; Seymen Gencer; Ege Özcan; İdil İzgi Akyurt; Berfin Dev; Özgür Özkan; Deniz Alp Özsan; Bilgesu Baykan; Can Konyalı. ESCOLA SECUNDÁRIA FILIPA DE VILHENA (Porto/Portugal) Diogo Lage; Alexandre Magalhães; Nina Pontes; Filipe Moutinho; Catarina Macedo; Catarina Marques; Nicole Melo; João Mendes e Rodrigo Correia.